A stron earthquake shook El Salvador tonight, it was felt in most of Central America as well. One person has been unofficialy reported dead and there have been minor damages in some locations, especially in eastern El Salvador. It was the strongest earthquake in El Salvador since the 7.6 earthquake in January 13 2001 that caused 944 deaths and 1.3 million homeless. 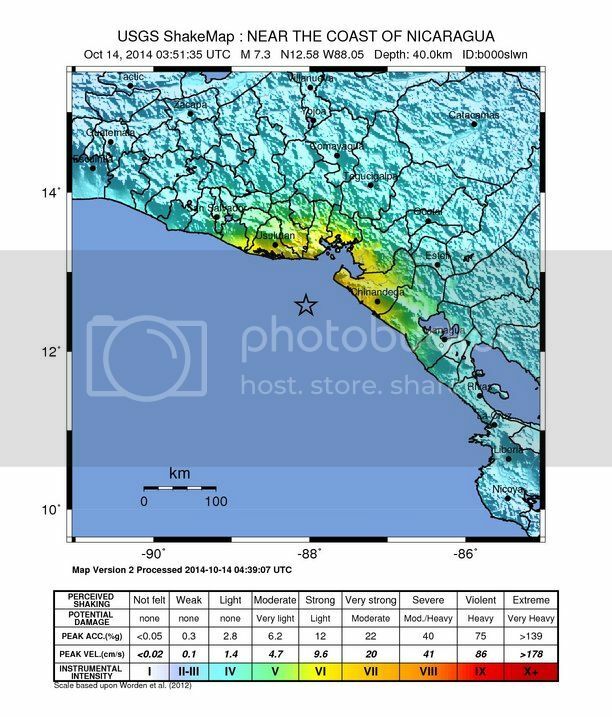 Macrocane wrote: It was the strongest earthquake in El Salvador since the 7.6 earthquake in January 13 2001 that caused 944 deaths and 1.3 million homeless. I thought that one killed over 18,000 people? I remember it being a big news story. You might be thinking of the Gujarat earthquake in India. That happened about 2 weeks later.